It all started in 2005 with a cute 6-month-old baby and some polished wooden floors. Aussie Mum Lisa Koba kept watching her gorgeous bub slip and slide on the floorboards as she attempted to stand. But when Lisa went searching for a solution, nothing on the market fit the bill. So, ever the headfirst adventurer, she set about designing her own. 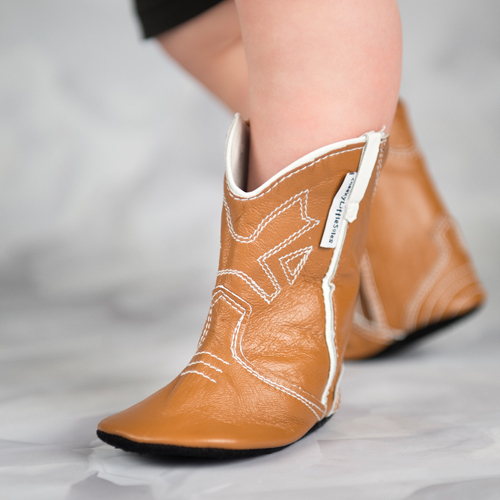 Wanting the best for her baby’s feet, Lisa knew her signature range of infant footwear had to be top quality, soft soled, non-slip, made of genuine leather… and super cute to boot! After months of research, designing and sourcing, she finally hit upon the perfect slip-busting solution.